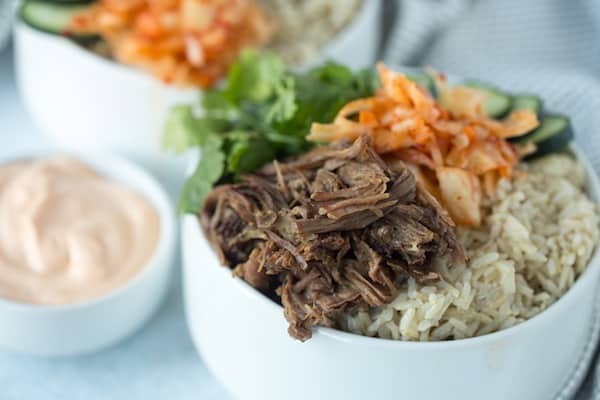 Slow Cooker Korean Beef Burrito Bowls are packed with flavor and super simple for a weeknight meal! It’s no secret that I’m a huge fan of bowl meals. I’m pretty sure it started with Chipotle’s burrito bowls way back in grad school, but has grown into a way for me to take all of the random ingredients in my fridge, throw it on some rice or quinoa, and call it a meal. 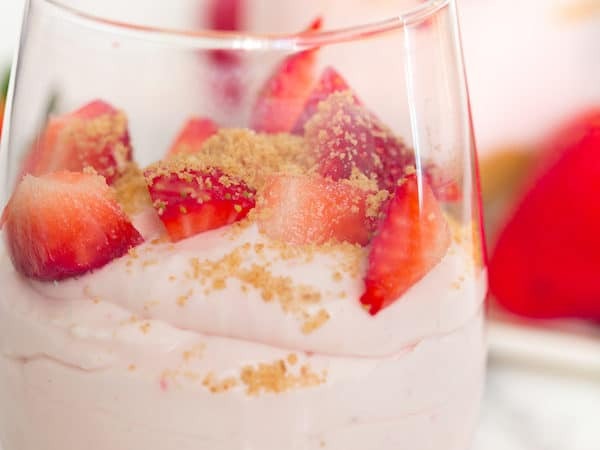 Of course, I like to make actual recipes that are supposed to be bowls, too! For example, I have recipes for Falafel Quinoa Bowls, Thai Peanut Turkey Bowls, and my personal favorite – Autumn Nourish Bowls. Don’t those all just sound so good?! I’m super excited about this new bowl recipe too! 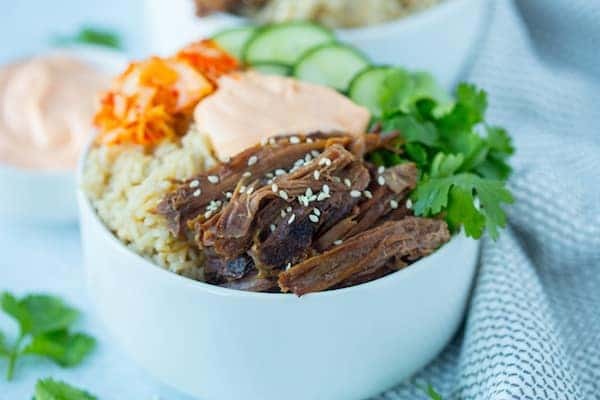 These Slow Cooker Korean Beef Burrito Bowls are one of those meals that are so full of flavor but pretty minimal effort and ingredients. One downside of bowl meals is that there can be a lot of components to assemble and prep last minute. Luckily, this recipe is not like that. The beef is super simple to throw together, as it’s a dump-it-all-in-and-set-it slow cooker recipe. There’s no searing the beef or any other putsy step like that. 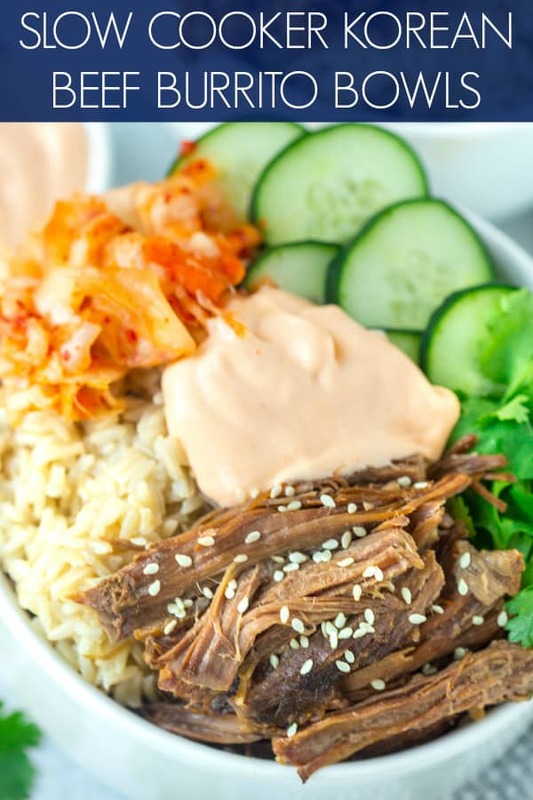 Then, all you have to do is cook the rice, chop the cilantro, cut up some cucumber, make a quick Sriracha mayo, and get your favorite jar of Kimchi from the refrigerator. And here’s a little weeknight meal pro tip for you: cook a big batch of rice ahead of time and freeze it in whatever portions your family might eat. Then you can just take it out of the freezer in the morning, and it will be ready to heat up and eat by dinner time! 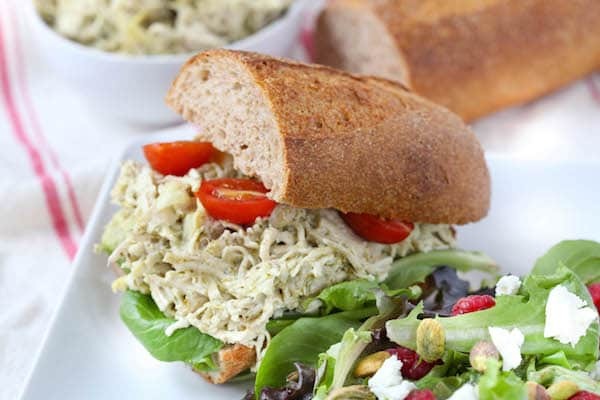 The Sriracha mayo is also super easy to prep ahead of time, if you want. One last note about the recipe – you’ll notice I have a range on the amounts of rice. It’s pretty much personal preference per serving, in my opinion. We probably used about ¾ cup of rice for each of us, but for smaller or bigger appetites, you might want less or more. In a medium bowl, mix together beef broth, soy sauce, brown sugar, garlic, sesame oil, ginger, and onion powder. Cook on low for 8-9 hours, until it shreds easily with a fork. Once cooked, remove from slow cooker and shred with a couple of forks. Add about ½ cup of the liquid from the slow cooker to the beef to give it all that good flavor. Make the Sriracha mayo by mixing together mayonnaise, Greek yogurt, milk, and Sriracha. 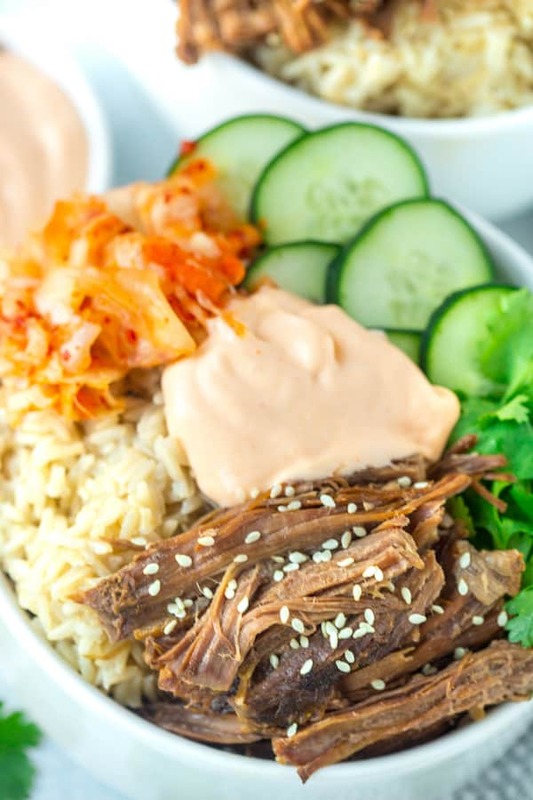 Assemble burrito bowls by placing rice, cucumbers, and beef in a bowl. Top with cilantro, kimchi and Sriracha mayo. I love your bowl meals, Taylor! 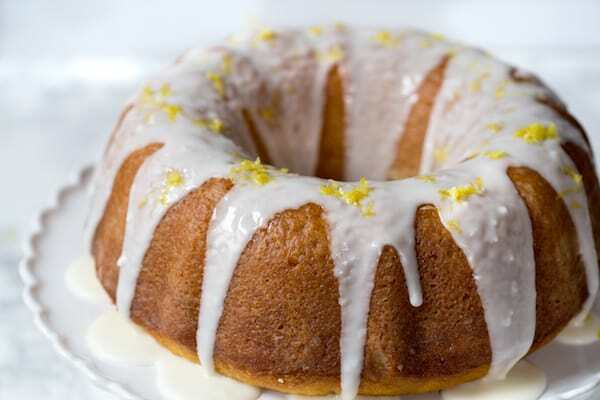 This is going on our menu soon!